Remember when Donald Trump was running for President and how incredibly shady it was that he refused to release his tax returns? Well, one reason why it would be great for the public to have access to them even now, especially now, is to understand the extent of the President-elect’s company’s business operations in more than 20 countries around the world. You know, the company Trump doesn’t care about because, as he told the New York Times on Tuesday his, “kids run it.” Kids for whom Trump may or may not have requested “top level security clearance”, and who were definitely sitting in on meetings between Trump and leaders of Turkey, Argentina, and Japan. 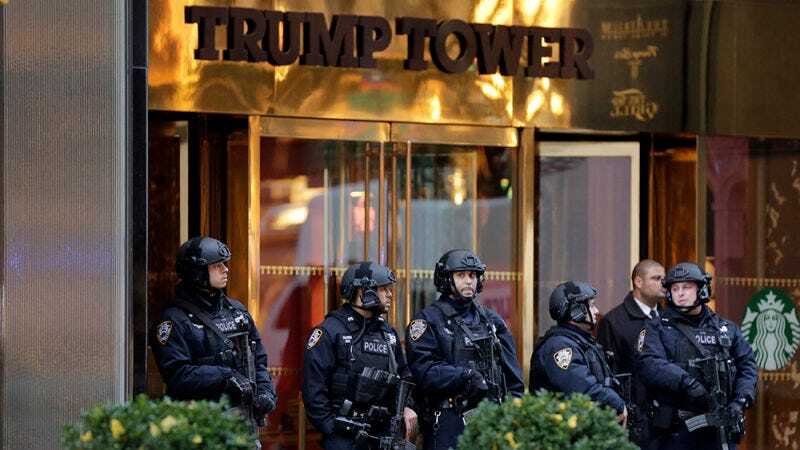 In any case, the Times made do with what it had—investigative journalism—and released a six-person-bylined article on Saturday that identifies a plethora of potential complications that could arise between Trump’s presidential and business interests. “Several of Mr. Trump’s real estate ventures in India— where he has more projects underway than in any location outside North America — are being built through companies with family ties to India’s most important political party. This makes it more likely that Indian government officials will do special favors benefiting Mr. Trump’s projects, including pressuring state-owned banks to extend favorable loans. The pervasive fear among people interviewed for the Times article is that, even if Trump acts with the utmost propriety (though he has never demonstrated the capacity to do so) and refrains from seeking special advantages from foreign governments, foreign officials may still feel compelled to help Trumps’ family’s business efforts in order to ingratiate themselves to the United States government. The Times also details potential conflicts of interest in Ireland, Scotland, Brazil, and the Philippines. Each outpost of Trump’s questionable mingling of national and personal interests would typically be deserving of its own article, if not its own political scandal. But, as has been demonstrated time and again, the sort of egregious displays of self-serving impudence, if not illegality, that would normally tank presidential bids in their infancy seem to slide right off of Trump, and will now follow him to the White House.